I know y’all are thinking that we already took a vacation this year; a cruise with our dear friends the Pecks. Last year we stepped out of our comfort zone and bypassed our annual trip to Key West and tried out St Croix instead….big mistake. 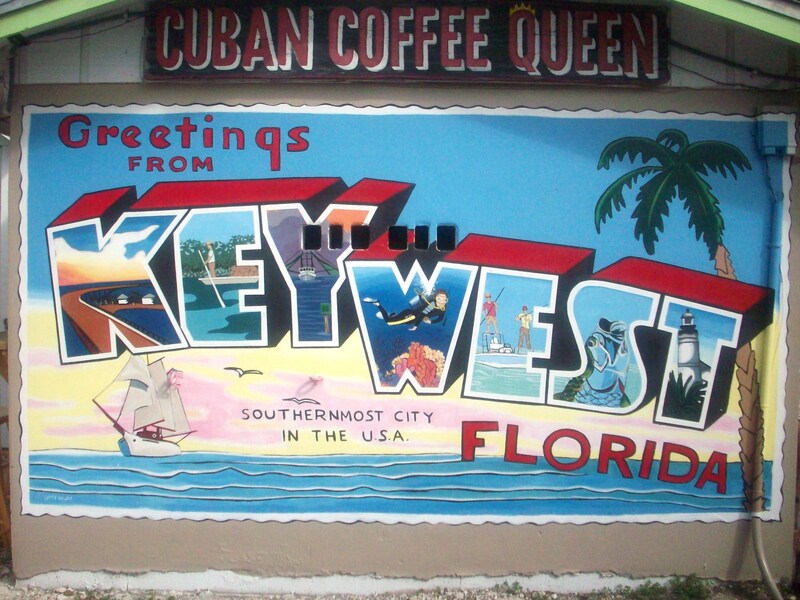 Key West was calling us with her sweet, sweet song………and it’s a lovely song she sings. So much so..that we thought we would squeeze in a 5 day excursion at the end of August. 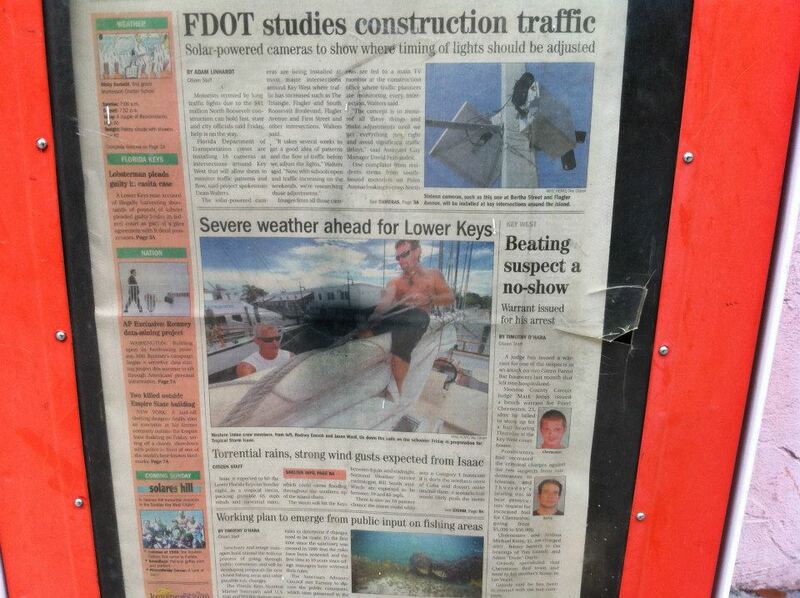 Why not fly down to Miami and drive the Overseas Highway through the Florida Keys? What a great opportunity to see all the keys. We only had to make the drive once? Right? That’s what we thought . We flew to Miami, rented a convertible, and made the 3 hour drive…..
We got to Key West just in time to pick up my little brother Ben at the Key West Airport. Then we dragged him to El Meson de Pepe for great Cuban food. Might be a little “Touristy”. But we love the roasted pork, pressed Cuban sandwiches, sangria, and guava bread pudding. I’m almost drooling just typing this. 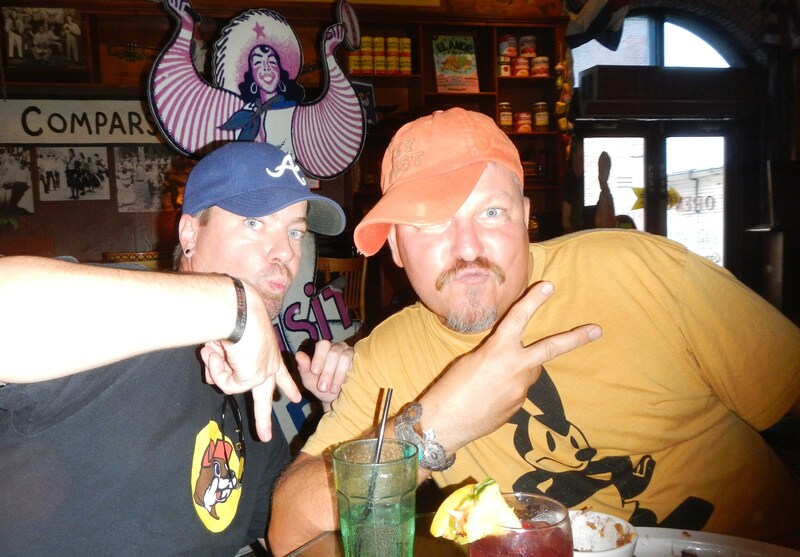 This picture I’m posting just to embarrass Ben…like that first one wasn’t embarassing enough…. In the morning, there was a possibility of bad weather (rainstorm Isaac) so we squeezed in a much fun into a day as we could. Breakfast at Pepe’s (Not to be confused with Maison de Pepe’s). 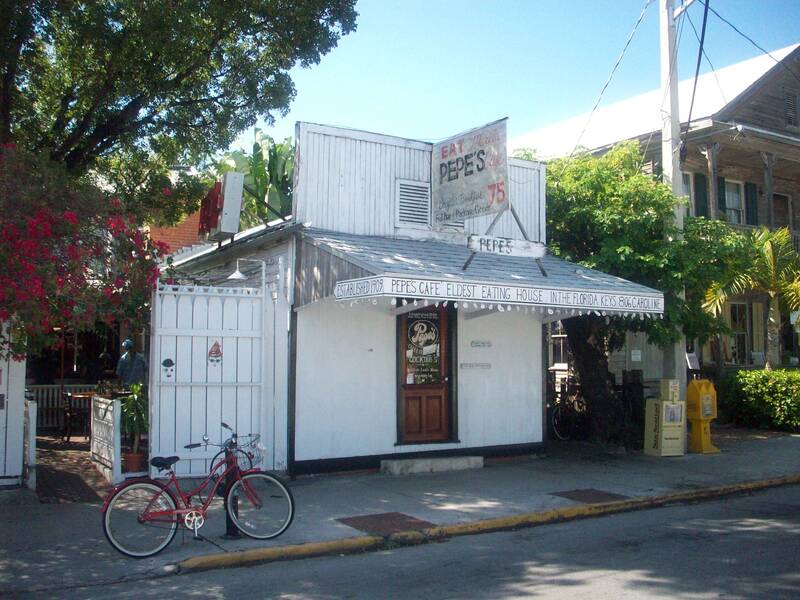 This little hole in the wall is one of the oldest eateries on the island and one of the best. Every time the waitress came to our table she told us the specials….it was a little like “Groundhog Day”. 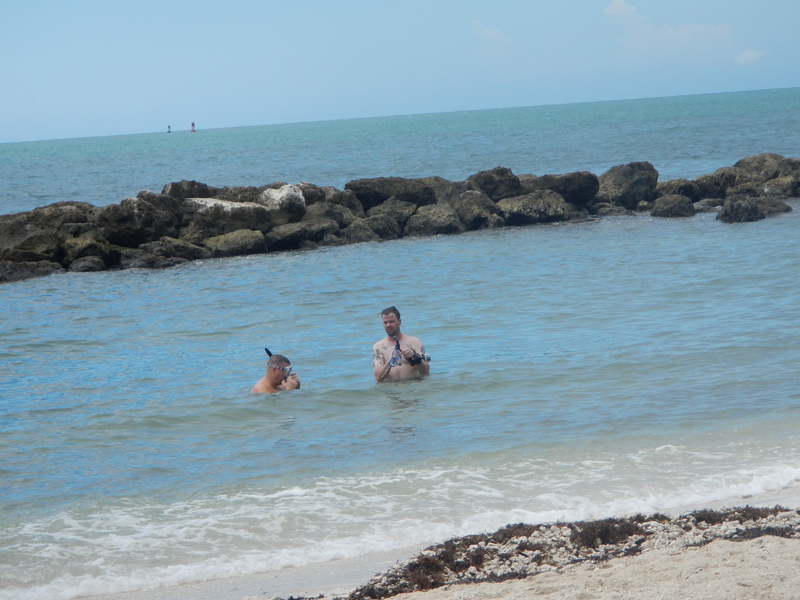 After breakfast we headed to Fort Zachary Taylor Beach for snorkeling. The entire park surrounds a pre-Civil War fortress. The water was a little dingy and rough….so we didn’t last too long. 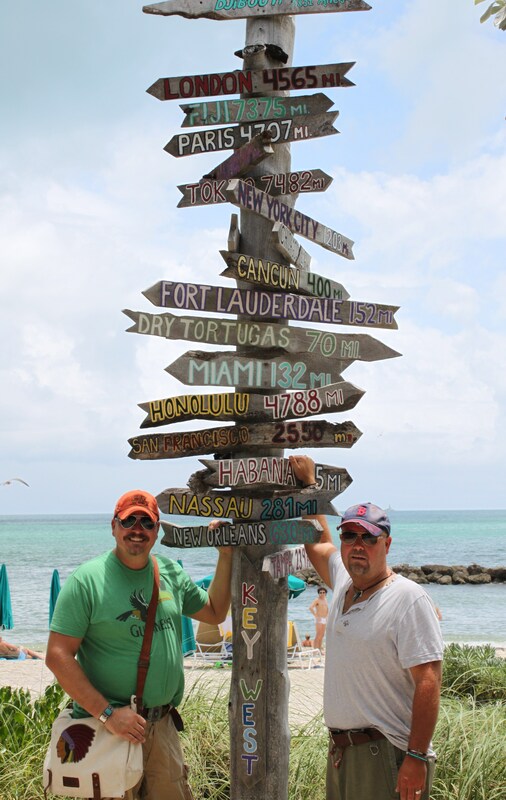 But we did have time to pose at the mileage signpost on the beach. I don’t see Dallas on there anywhere. 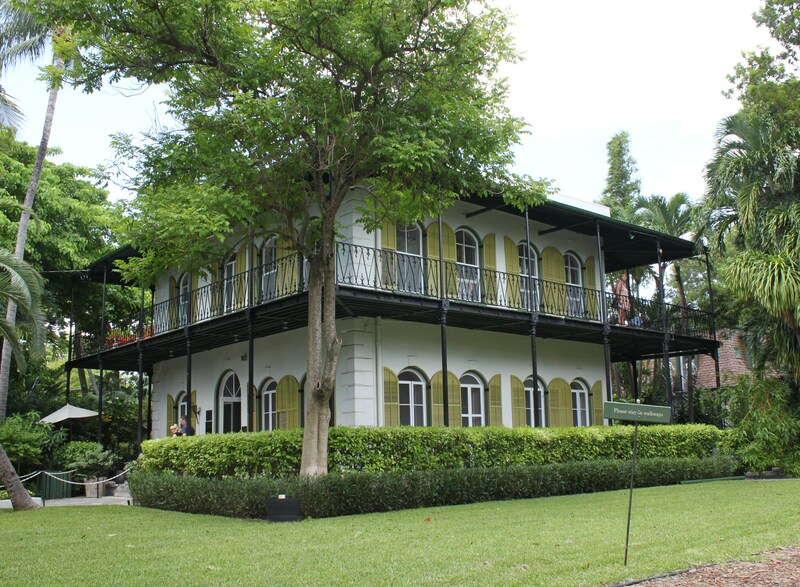 Then we zipped (we rented Vespas to get around) over to the Hemingway house for the tour. 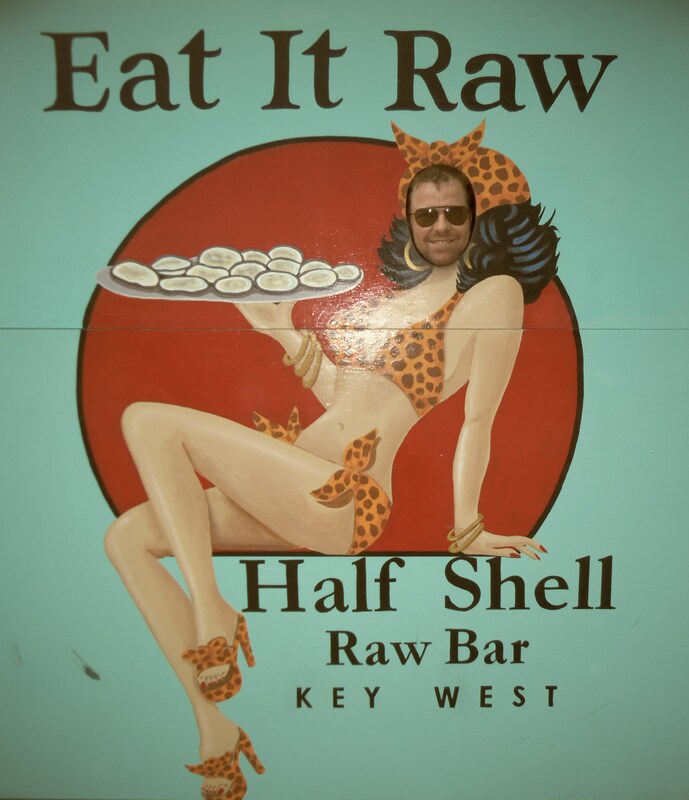 Key West has had a myriad of interesting residents (Jimmy Buffet, Tennessee Williams, Hunter S Thompson, Judy Blume, Kenny Chesney, John James Audubon, Harry Truman, Truman Capote, and Robert Frost…..just to name a few). But Ernest Hemingway is by far my favorite. Even though he only lived here for about 9 years, most of which he was a foreign war correspondent and before he was the fully established “Papa” writer, most residents here consider him to be the equivalent of Key West royalty. 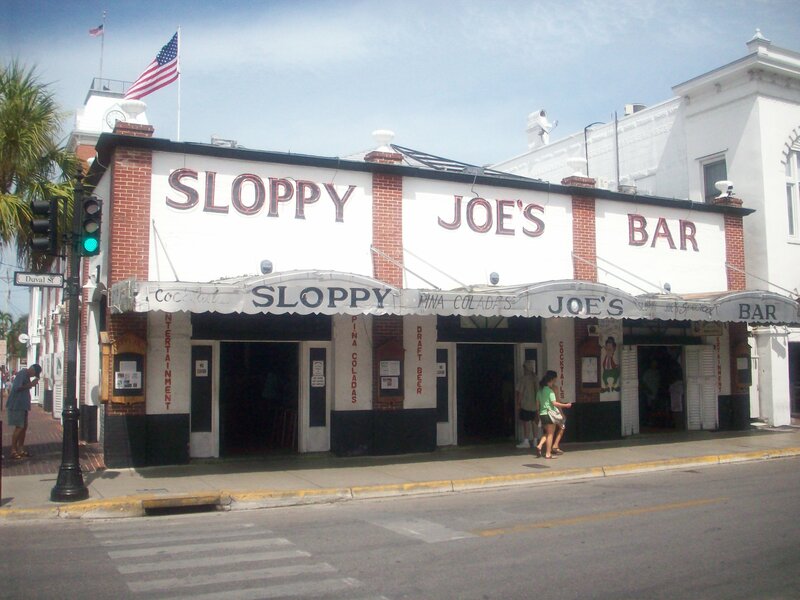 I just love this portrait of him …..
After a tour of his house it was only fitting to visit not only Hemingway’s favorite bar, and the most popular bar on the island as well, Sloppy Joe’s. Sloppy Joe’s used to be across the street from its current location, but when the landlord raised the rent 1$ (which I guess was a lot of money in 1937 ) Joe Russell the owner decided to move locations. At midnight Joe enlisted every patron in the palace to help move everything in the bar across the street….including their own drinks. The only thing that didn’t make the move was the men’s room urinal. 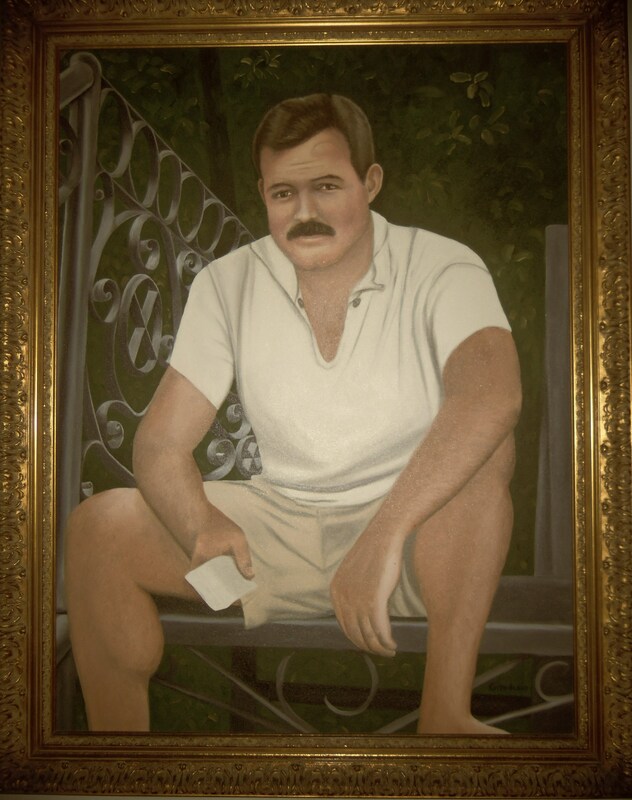 Hemingway declared that he had flushed a small fortune down that thing and he dragged it home for himself. His wife Pauline was mortified and had it converted into a fountain where is remains today. 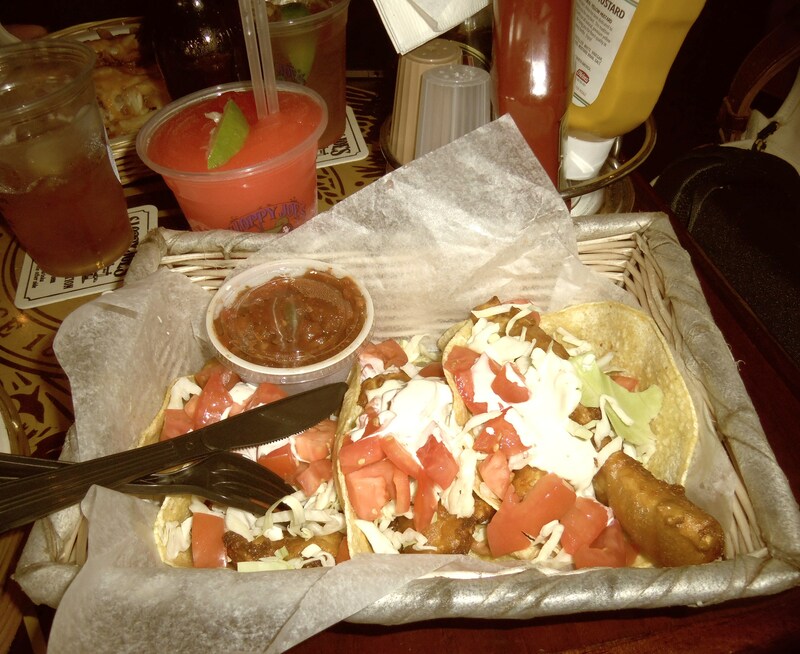 Fish tacos and a frozen “Rum Runner” at Sloppy Joe’s. A Rum Runner is a glorious mixture of Bacardi, blackberry liquor, pineapple juice, orange juice, and grenadine…Delicious. 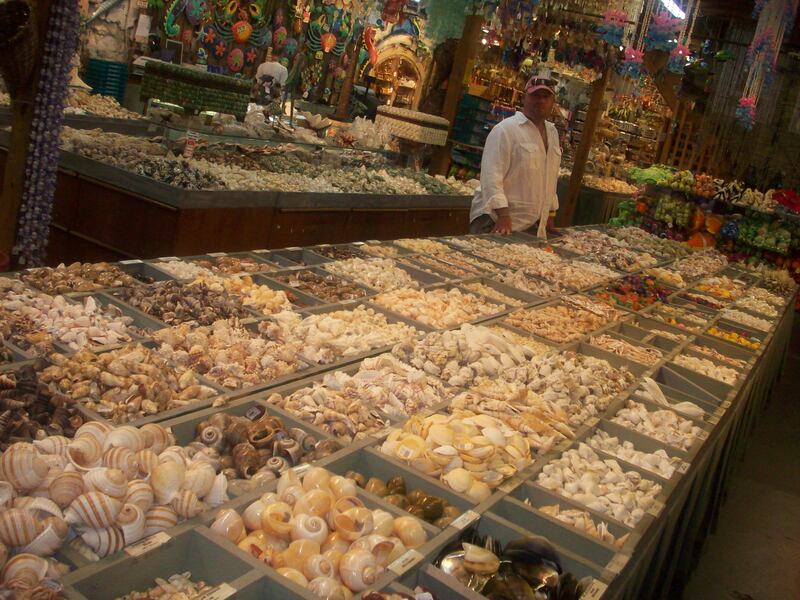 The girl at the table next to us was ordering one out of her “Florida Keys” guidebook……..typical Tourist. She couldn’t blend with the locals like we did. 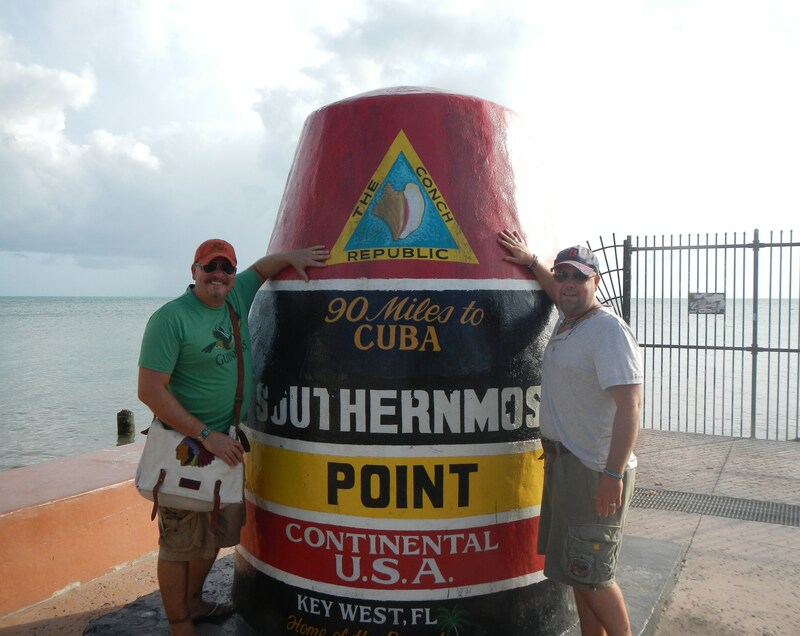 The southern most point of the United States is only 90 miles from Cuba. And yes, we still have a trade embargo with them. I was reminded of this fact when I ordered a Cuban beer. Cuban refugees continue to wash up on U.S. soil looking for better lives. Their abandoned “crafts” are found on Key West beaches all the time. A little souvenir shopping at the local stores. Isn’t this “Sponge Man” one of the absolute creepiest things you have ever seen in your life? You would have to literally pry me off the ceiling if I ever woke up and saw this thing standing next to my bed. Dinner was at a remodeled whore house, the Blue Heaven. We actually ate in one of the (clears throat) “entertaining” rooms. Seriously. It’s even painted “Whore House Red”. 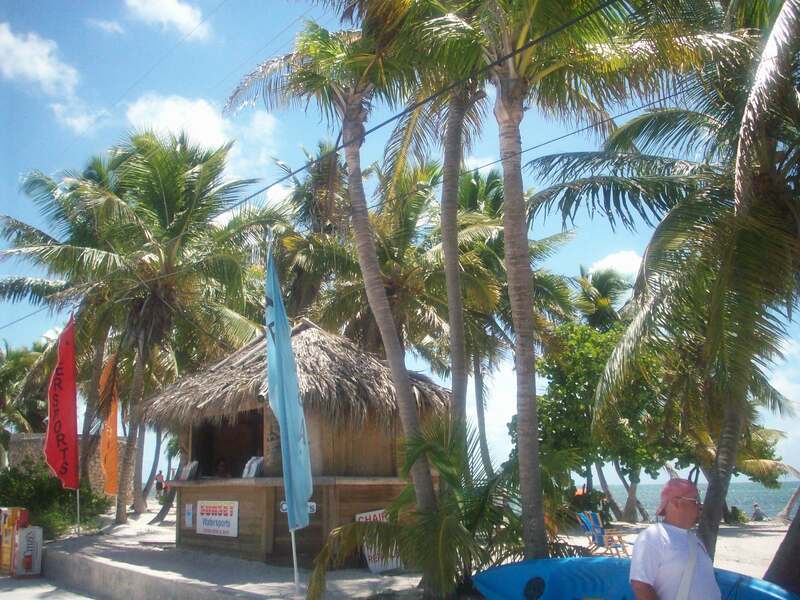 The food is amazing and they have the BEST key lime pie on the island…Trust us on this! 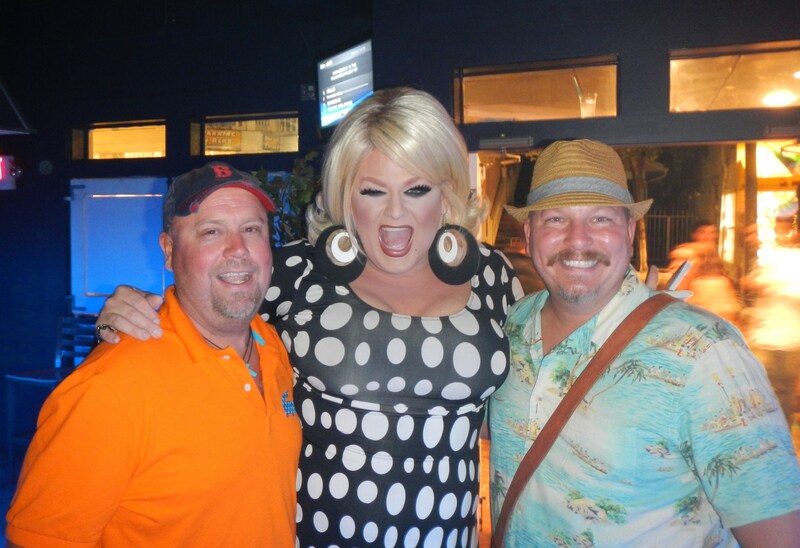 It wouldn’t be a trip to Key West without a drag show. So we dragged Ben to Aqua to see the girls. Like dear, sweet little Inga here……. We knew that there was a tropical storm in the Caribbean. Because no one on the island seemed to be affected by it; we weren’t worried either. The front desk woke us at 8 AM to say they were shutting down the hotel and we had 4 hours to leave. Tropical Rainstorm Isaac looked like he might be a little threatening. Threatening enough for the island Elders to ask the tourists to leave. We certainly didn’t want to repeat of our trip last year to St Croix where we landed on the island about 1 hour before Hurricane Irene and then we sat in a dark hotel room for a couple of days. It wasn’t fun. So rental car it was, and the 3 of us drove back up the Overseas Highway to Miami. Even with the looming storm, we managed to get a hotel room and morning flights back to Dallas. 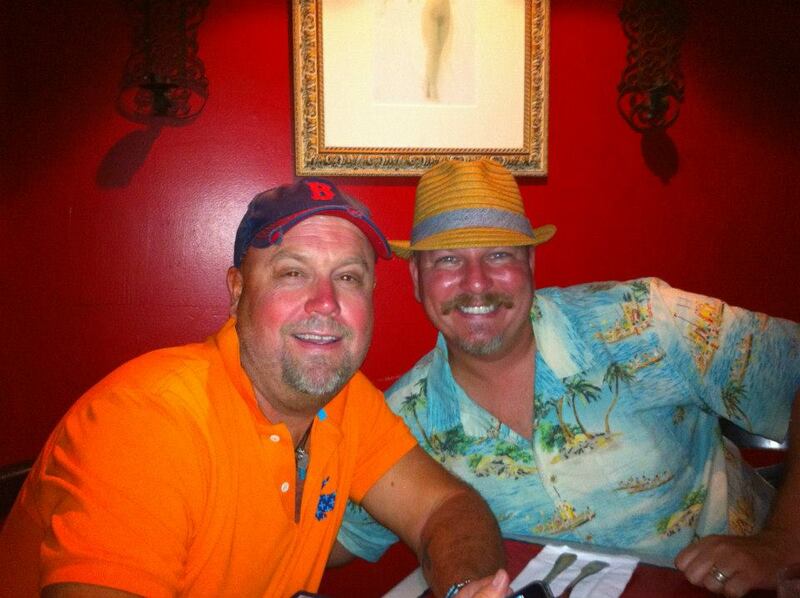 We took a short trip down to South Beach for deco buildings gawking and dinner. 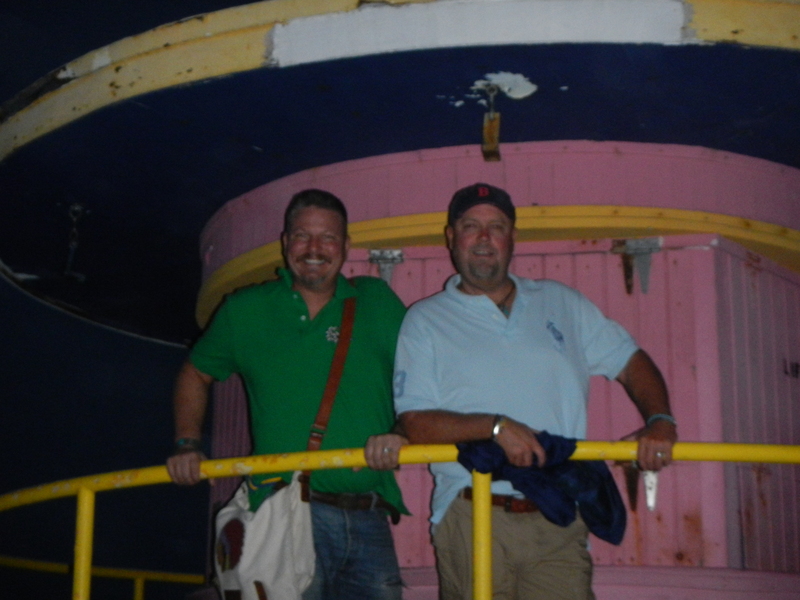 The beach was mostly abandoned, so we jumped up on a lifeguard station…. In the morning, Jamie and I booked it back to BIG D. Seriously short trip. I don’t know why we brought so many clothes. “What happened to Ben?”, you ask. He didn’t have the same luck that we had changing our flight, and as I write this he is still in Miami waiting for a 7 am flight back to Dallas. Rainstorm Issac isn’t hitting Miami nearly as badly as expected….so we know he’ll be fine. Maybe that isn’t that funny……. Everyone is worried about you…..GET to the airport EARLY!!! 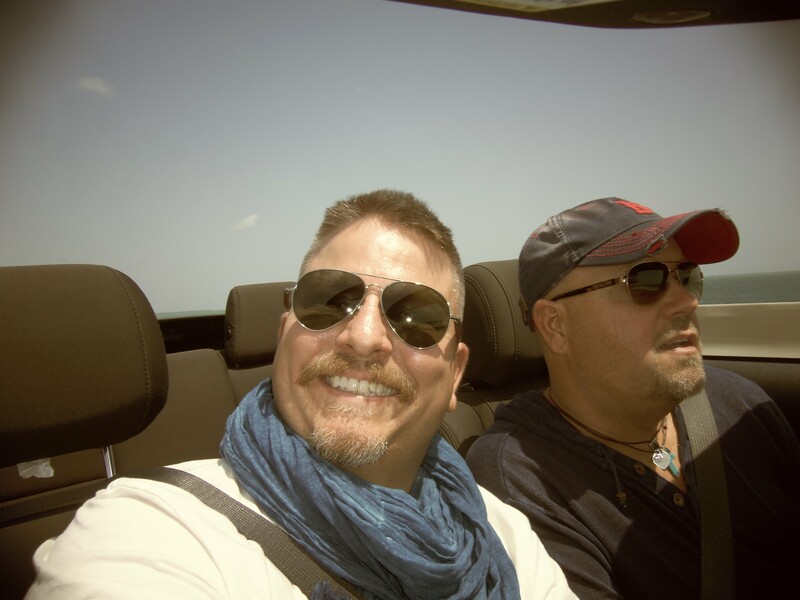 Your vacations look as fun as you guys. Hope your brother made it home. He’s awful cute to leave at the airport. I enjoy your blog. Keep it up guys. AWW Thanks Vicki!! 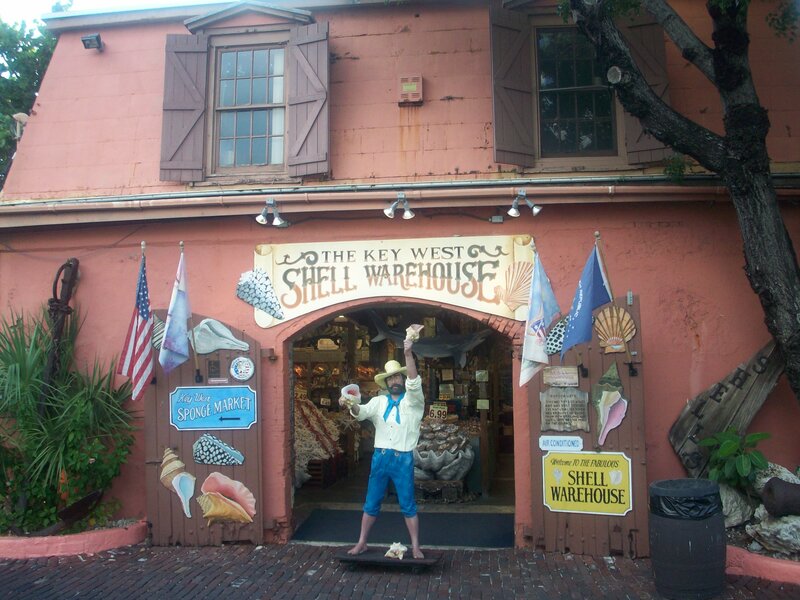 We Love Key West too, this is our 3rd trip…it was going to be short (but not a day and a half) ..WE’re so glad that you have been following along with the house progress, maybe someday we’ll finish all our half started projects…. Left yo mama’s baby in Zombie town … In a hurricane … Das jus wrong . Poor little Ben . I happened across your website tonite. Decided to check it out, and really enjoyed it. Looks like my partner and I have similar interests/hobbies as you both. Enjoyed it very much. Loved the pumpkin arrangement, as i’ll have to try that one. You’ve given me some great decorating ideas. Can’t wait to see what you do this Christmas………..Take Care! Hey Tom! So glad that you found us! Pretty sure that pumpkin arrangement would make an awesome Thanksgiving centerpiece…..Christmas around here is quite a spectacle, I decorate for Christmas professionally. Sort of, I’m am art director. Anyhoo, stick around and see for yourself.